If you’re considering a career in insurance, think Wallace Welch & Willingham. We are always looking for top talent who match our values of integrity, accountability, success and passion. 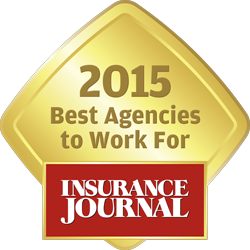 W3 is recognized as an employer of choice by top publications such as the Tampa Bay Times, Insurance Journal & Business Insurance. There are many reasons that employees consistently nominate W3 as an employer of choice. A competitive benefit package and a good work-life balance are noted as some of the most important benefits to our employees. Our dynamic culture fosters teamwork and enthusiasm, as all employees are rewarded for initiative. We stand proud as a company that respects individual and family values and work every day to empower our staff to achieve career goals.